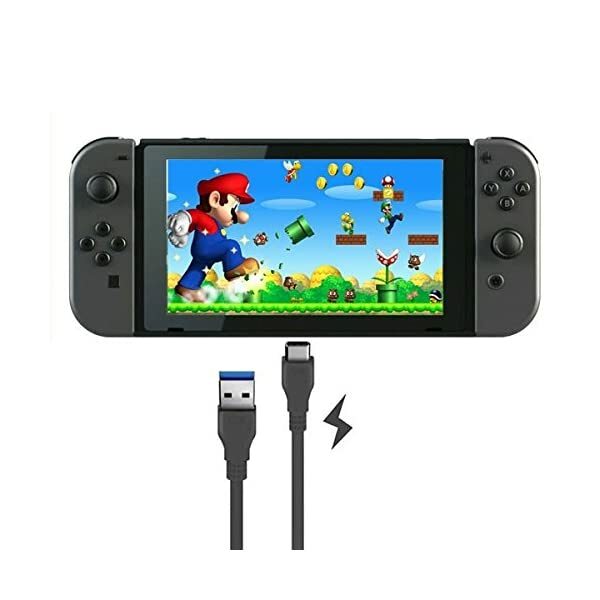 Designed specifically for charging and powering the Nintendo Switch GamePad Tablet so that you can contiune playing your games even when your battery starts to get low (will continue charging even during use). This cable is also compatible for use with the official charging dock*. 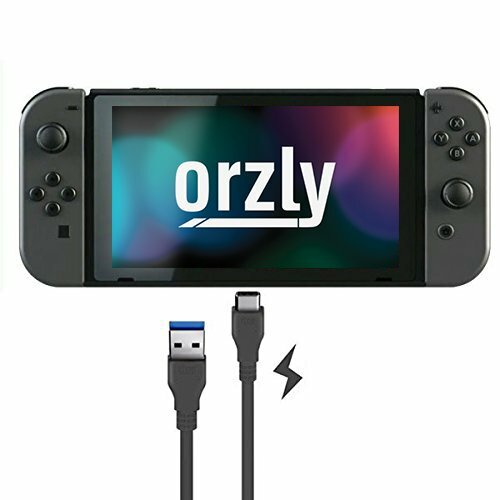 The JoyCon side controllers* can also charge by plugging them into the tablet whilst the tablet is being charged via this cable, so that they can all charge simulatenously, even during play. 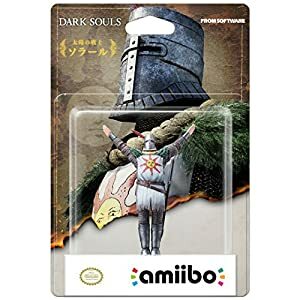 (*dock and controllers not included). 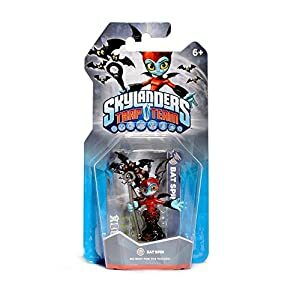 This cable is made of a special material which is of a robust build, which both reduces tangling and also reduces the chances of the cable breaking or splitting whilst always giving you the best charging and connection speeds. 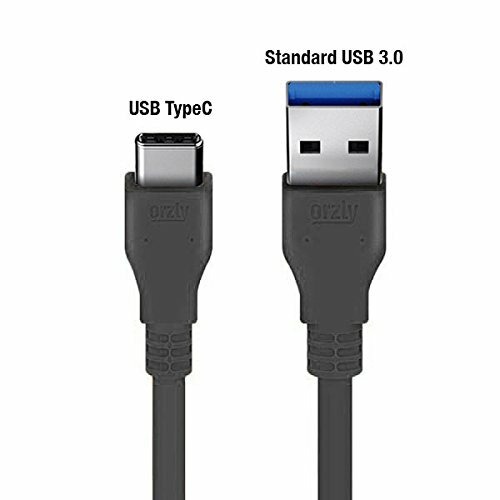 This cable is 1 Meter long, which has a TypeC connector on one end to plug into your Switch Tablet, and the other end has a standard USB 3.0 connector on the other end so that it can be powered by any standard USB socket. 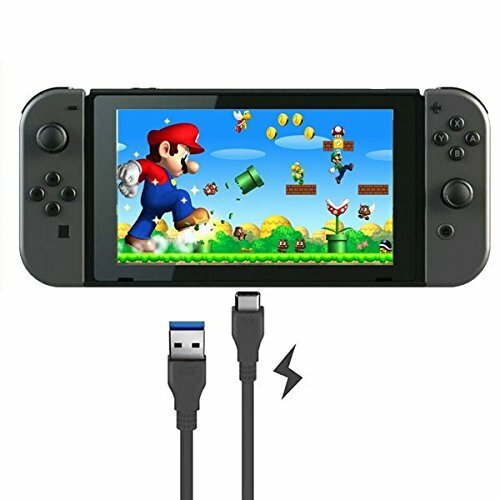 This cable is designed specifically for use the Nintendo Switch. 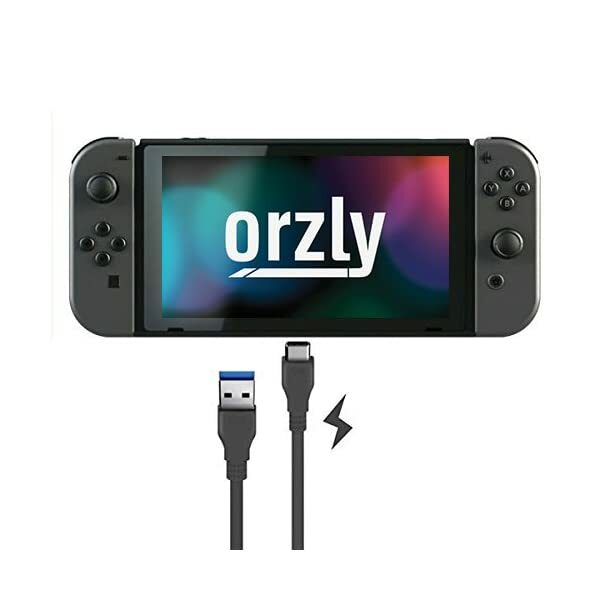 For our full range of Nintendo Switch accessories, search ‚ORZLY SWITCH‘ in the Amazon search bar (above). 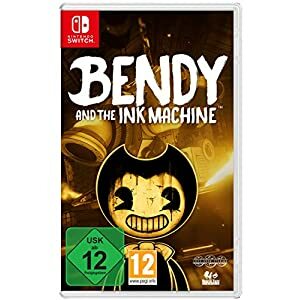 PLEASE NOTE: THE NINTENDO SWITCH CONSOLE, CONTROLLERS, AND OTHER ACCESSORIES SHOWN IN IMAGES ARE FOR USAGE DEMONSTRATION PURPOSES ONLY AND ARE NOT INCLUDED WITH THIS CABLE. 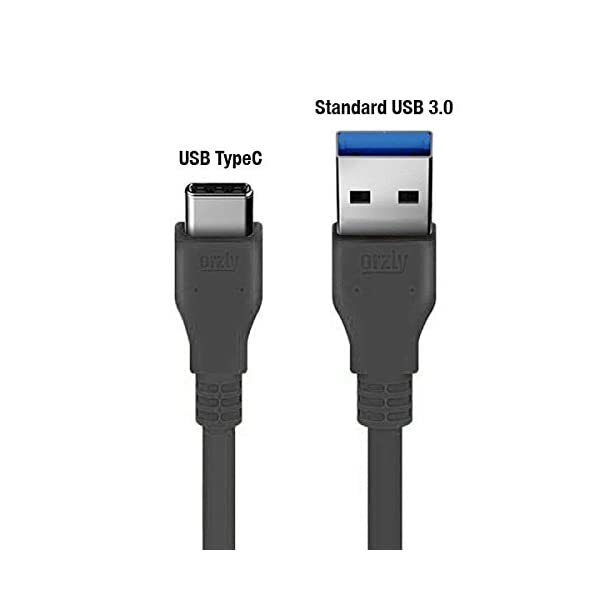 CABLE SPECS: This cable is 1 Meter long, which has a TypeC connector on one end to plug into your Switch Tablet, and the other end has a standard USB 3.0 connector on the other end so that it can be powered by any standard USB socket.